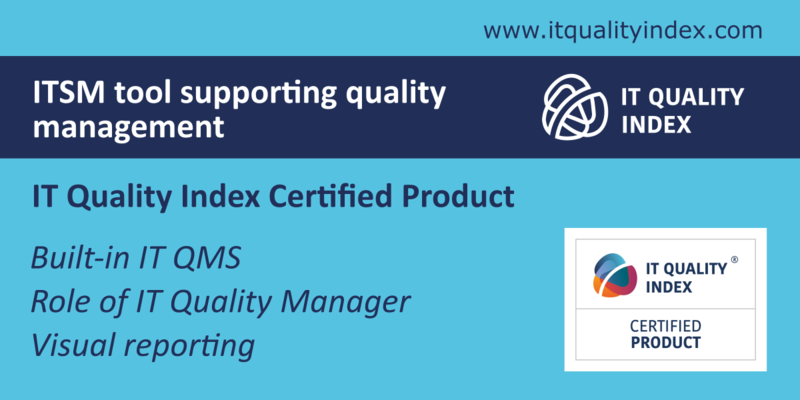 Target group: All IT professionals including team leaders, CIO, Senior IT managers, IT managers, Quality Assurance managers, Compliance leads, Supervisors, IT professionals. 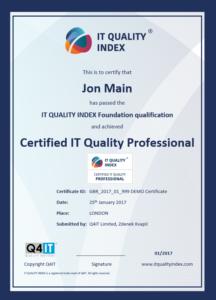 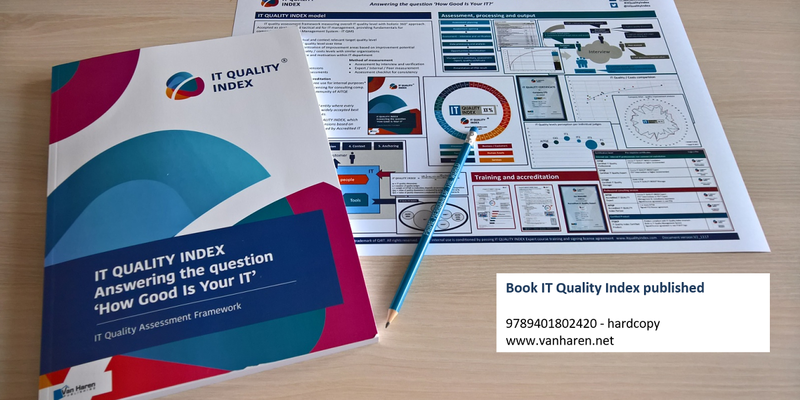 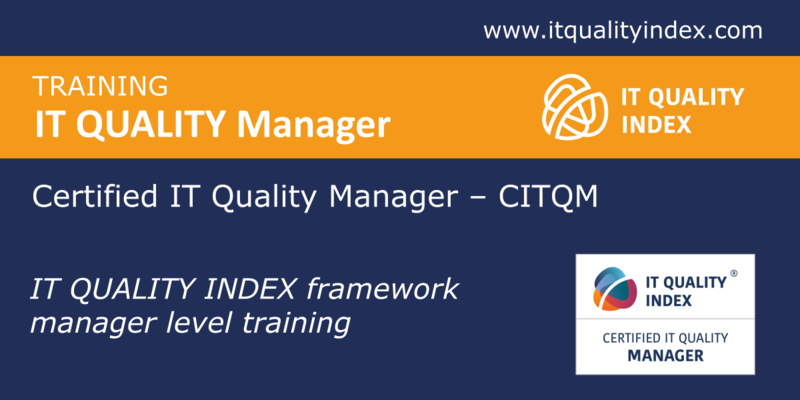 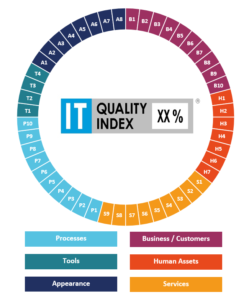 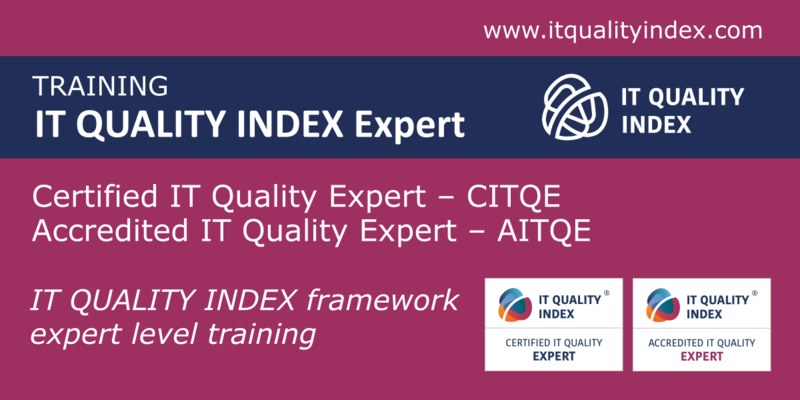 Individuals aiming to become Certified IT Quality Professional – CITQP, Individuals aiming to become Accredited IT Quality Expert – AITQE or Accredited IT Quality Trainer where IT Quality Index Foundation certificate is required. 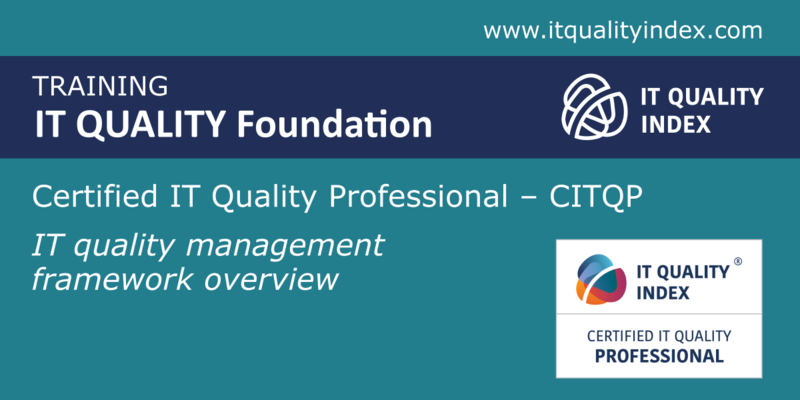 Course Outcome: Successful candidates will gain Certified IT Quality Professional – confirmation of understanding fundamentals of holistic approach IT quality.